Starting your day off in the right way is essential. It sets the tone, and can have a huge impact on your overall performance and mindset for the whole day. Are you making these random breakfast mistakes? 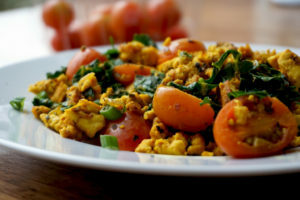 + a pretty tasty recipe for a Turmeric Tofu Scramble (sticking to the randomness theme!). Let’s name and shame, KELLOGS, you’re a gigantic company with a lot of influence over what people are eating for breakfast. Kids in particular! We all love a good breakfast cereal from time to time, and I can think of nothing better than a man size mixing bowl full of coco pops and ice-cold milk. I’m literally salivating as I’m writing this…! 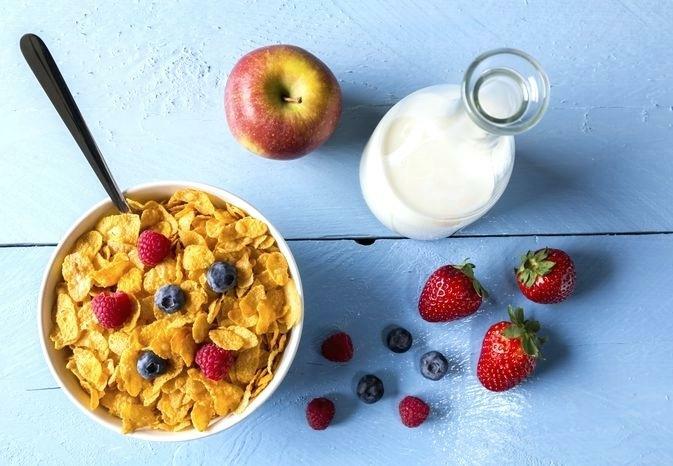 But on top of the high sugar and highly processed cereals that are on offer, there are also these so-called healthier cereals too. They’re little more than the demon child of a giant company that has jumped on the dieting bandwagon, and a clever marketing and advertising department! These cereals promote lower sugar levels than others, a little extra fiber, and typically come in a smaller box. Because a smaller portion means fewer calories! Kellogg’s aren’t the only brand but they’re a good example. They even promote their “Special K Weight Loss Plan”. Simply replace a few meals a day with Special K cereal and you’ll lose weight, and I’m sure you will. But then again, you’d also lose weight if you fully replaced 2 meals a day with a mars bar. I’m not joking either, two 58g mars bars have 520 calories in them. Add a reasonable sized meal on top of that and maybe a snack during the day, and you’ll most likely still be in a massive calorie deficit and lose weight. Is this healthy? No, of course not! But these so-called diet breakfasts are almost as bad. A 58g mars bar has 40g of high-glycaemic carbohydrates, versus a 58g portion of special K has 43g. Food for thought. Some compounds in coffee hinder the absorbsion of certain minerals, particularly zinc, iron, magnesium and calcium. 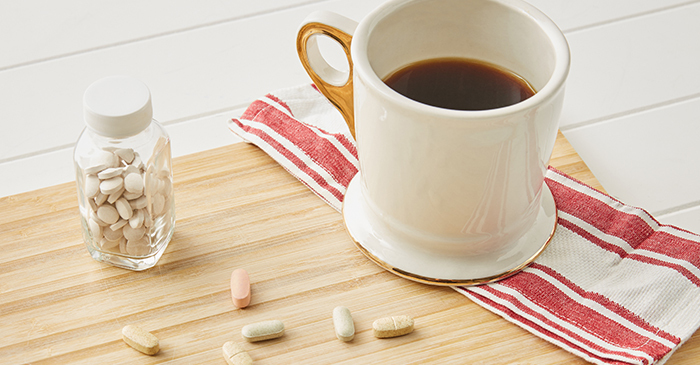 Coffee has many health benefits so can be very good for you, but not around the time when you choose to take you daily pills. Coffee contains polyphenols, compounds that bind to nonheme iron and decrease its absorption. Phytates, an antioxidant that’s found in coffee can limit the absorbsion of zinc. Now that’s a problem! Calcium deficiency is a bigger problem than what many people are aware of. You might think you’re getting enough calcium in through your daily intake of milk, yogurt and certain vegetables. However, it’s recommended that coffee should be limited to a maximum of three cups a day because of its affect on calcium uptake. Additionally, have you ever thought about the dairy products many of us choose to cut out because it’s ‘healthier’ to be having nut or soy-based milks, yogurts or ice creams instead? There’s nothing wrong with them, but you do need to consider their lack of calcium versus dairy. Check that your milk alternative is fortified with calcium, or you’re getting it elsewhere. An almond milk latte isn’t going to be doing anything for your calcium levels! Instead of having a cup of coffee as soon as you wake up, there’s nothing better to combat your dehydrated cells, wake up your digestive system, and give you a good kick of vitamin c first thing in the morning than a hot lemon water. Simply squeeze half or a whole lemon in to a cup of hot water and enjoy. Save your coffee until mid-morning of before your workout. YOU DON’T ACTUALLY HAVE TO EAT BREAKFAST – SHOCK!! We’ve been conditioned in to thinking we MUST eat breakfast. While it’s a poor habit to forget breakfast, or not eat a proper one, it’s not as big a problem as you might think, especially if it’s intentional to implement some form of intermittent fasting (IF). 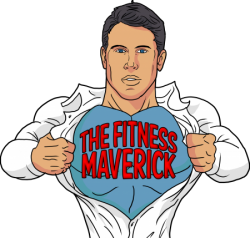 I won’t go in to the details specifically, but IF can have some long-term health benefits, as well as a great dieting solution for those that have typically obsessed about food in the past. Fasting for an extended period can be an excellent way to change your mindset away from thinking about when and where your next meal from. If you know you’re not going to be eating food for a certain time, then food no longer becomes a thought. Thoughts become things, and thoughts of food lead to eating food. The very little evidence-based approach of “little and often” has unfortunately screwed up a lot of modern eating habits and built an obsession with eating frequently to “fuel the metabolism”. There is no scientific evidence for this theory at all. Whether you eat over 1, 3 or 5 meals a day, calories and macronutrients equated you’ll get similar results. As far as calorie restriction and fat loss goes, IF is also a good way to restrict your overall calorie intake for a 24-hour period. It’s not going to kill you by skipping just one meal, and if it’s a planned meal skip the go for it. 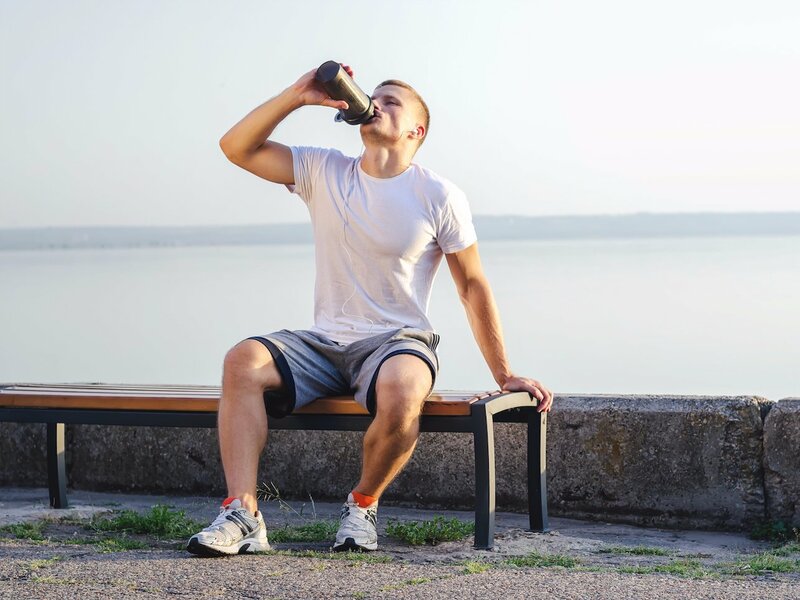 Intermittent fasting can be an extremely effective solution for certain types of people. If however you’re missing breakfast and consider it a bad habit, then you need to knock that bad habit on the head. Okay it’s not random, but it’s important! It’s your first meal of the day, so it needs to be a nutritious one. It needs to provide everything your body needs to get the job done. 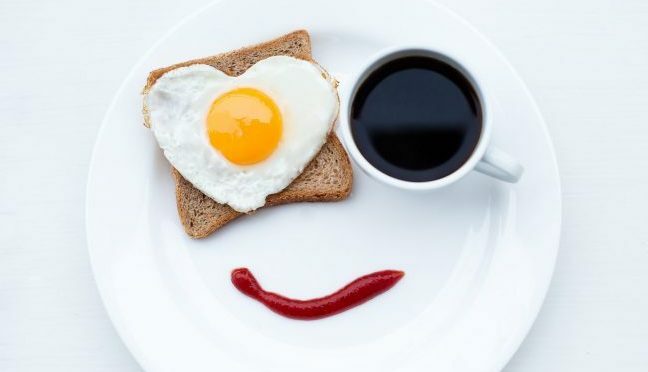 Typical breakfasts, calorie-controlled ones in particular are typically very carbohydrate heavy. They lack adequate protein and healthy fats. That’s why eggs are a great breakfast option, or even a tofu scramble. Add some extra healthy fats, maybe a little avocado, some seeds or some nuts, or cook in coconut oil and you’ve got a great breakfast. And don’t forget your veggies! Melt a little coconut oil in a pan over a medium heat, then sweat down the onion until it softens. Prep the tofu by pouring away the water, patting down any excel with a kitchen town if required. Crumble the tofu into the pan. Cook the tofu for around 4 minutes until it begins to turn golden, then add the nutritional yeast and spices. Cook for another 4 minutes until all the excess liquid from the tofu has cooked away. Add the kale, tomatoes and almond milk, cooking for another 1-2 minutes. The milk will give the tofu a softer texture so completely optional, but a great texture. Remove from heat and serve with any other breakfast toppings you like. For fats add quarter an avocado, for carbs have a slice or two of sprouted grain bread, or on top of some avocado toast.